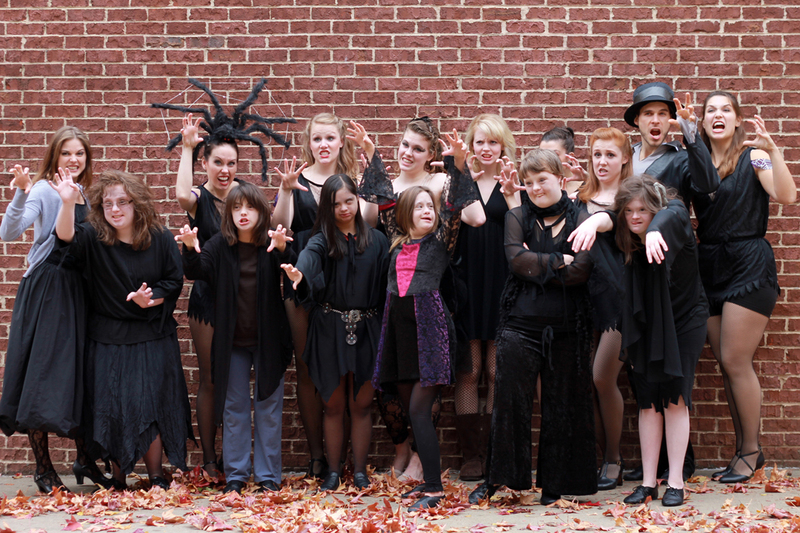 Dancers from Atlanta Rising Talent and the Foster-Schmidt Dance Academy for Down Syndrome will be performing in SIDEWAYS Contemporary Dance Company’s “Frankenstein’s Frolic.” Frankenstein’s Frolic is a fun-filled haunted carnival and dance performance. The haunted carnival will include appearances from characters in the dance performance, games with fun prizes, and refreshments! The Frankenstein’s Frolic dance performance will primarily feature dancers from SIDEWAYS Contemporary dance company. They will be performing quirky jazz and contemporary pieces, with comedic costumes and choreography. Atlanta Rising Talent will be performing “Haunted Mansion”, a contemporary dance they have brought back to life! The Foster-Schmidt Dance Company will perform in “Thriller” alongside members of SIDEWAYS. The event will be held at (but is not affiliated with) Atlanta Dance Central on Sunday, October 27. The carnival will be open from 11:30 – 4 p.m., with performances at 12 p.m., 1:30 p.m., and 3 p.m. The dance performance is approximately 30 minutes long and the cost for the performance is $5. SIDEWAYS is a not-for-profit organization that is separate from Atlanta Dance Central. They have generously donated 1 ticket to be used toward their performance, or a carnival game, to all students of Atlanta Dance Central. We would love for you to join us in supporting the ART Company, the Foster Schmidt Company, and local artists! Come out to Frankenstein’s Frolic to enjoy a wonderful afternoon filled with games, prizes, refreshments, dance, and most of all, fun! Previous Post: « ADC in the Community this Weekend!